Sidney Fitzgerald “Sid” Ortis grew up in Mountain Brook, Alabama the second of five siblings in the Ortis household. He was the practical joker of his family, always ready with a witty remark to friends and family to garner a laugh. An avid LSU Tigers fan, Sid was often spotted in purple and gold despite living in the heart of Alabama and Auburn country. 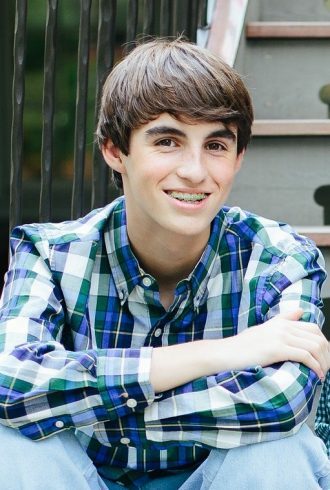 In August 2014, fifteen year old Sid returned from Dixie Basketball Camp in Mississippi which he had attended for the past three summers. He complained of pain in his leg and knee, and within 72 hours his life took a dramatic change of direction. The diagnosis was unimaginable: Osteosarcoma. Sid immediately began what would become a seemingly endless string of doctor visits, imaging studies, surgical procedures, and chemotherapy. In the midst of this chaos, Sid remained upbeat and maintained his sense of humor. Cancer never defined or changed Sid. His hometown of Mountain Brook rallied behind Sid and in an overwhelming show of support garnished homes and businesses in a blanket of purple and gold. Word of Sid’s love for LSU football and the phenomenal display of LSU colors blanketing a community in the heart of Alabama made its way to then LSU coach Les Miles. Coach Miles and Sid developed a special bond that grew throughout his fifteen month battle with bone cancer. Sid’s courage and faith was evident in his certainty that everything would be okay regardless of his outcome: “either way I win,” he often said, referring to remaining here with family and friends or going on to heaven. 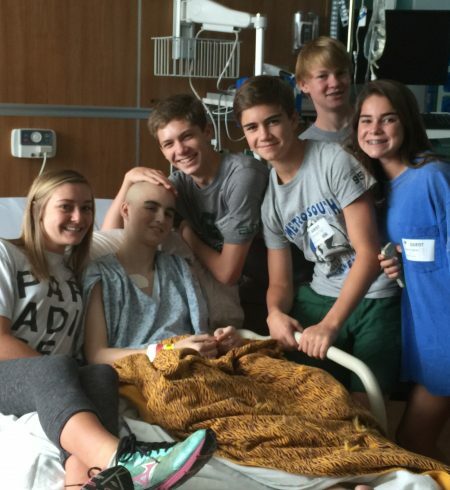 Throughout his treatment for osteosarcoma, a small group of his closest friends who became know as “the squad” remained with him day and night whether he was at home or in the hospital. Near the end of Sid’s battle, he prayed over his friends encouraging them to “go on to live prosperous lives and stay on the path of righteousness.” When Sid succumbed to his cancer, their love for him led to the formation of the Sid Strong Foundation to honor his life and legacy and live out the message in Sid’s prayer. Whether helping families currently facing pediatric cancer, raising pediatric awareness, or funding pediatric cancer research, the Sid Strong Foundation strives to offer hope in the face of pediatric cancer. Our mission is to help facilitate the discovery and development of new therapies which improve overall patient quality of life and ultimately will lead to cures for pediatric cancer. The Sid Strong Foundation is a non-profit (501c3).